Riding windows are best done from one’s doorstep to save precious time. Having a kid is terrifying, stressful and exhausting. 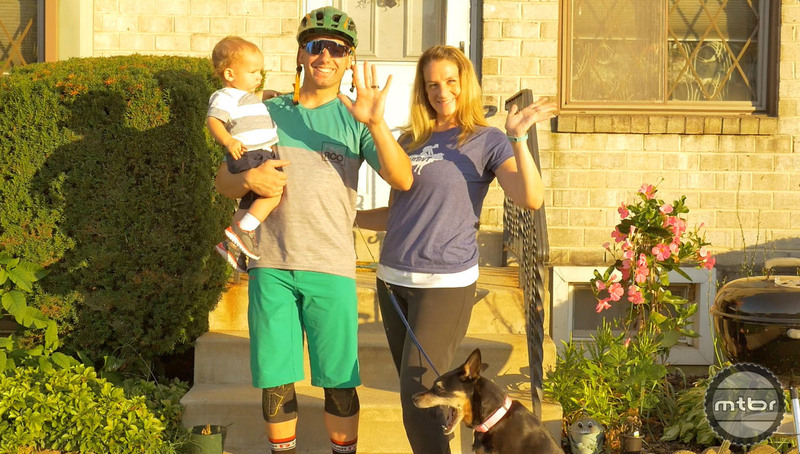 The murky waters you have to navigate as a first time parent are full of uncertainties, self-doubt and restless nights, explains Brice Shirbach, Pivot-Reynolds enduro rider and father. The end goal is a happy household without giving up one’s riding lifestyle. Nap time might not be enough time for a full day of bike park laps, or a 50-mile backcountry jaunt. But it’s more than enough time to go out and feel like a superhero for an hour or two on your local trails. It takes planning, motivation and spousal support to maximize the riding window. Riding windows by parents with young ones are best done from one’s doorstep to save precious time. It’s a challenge. Trying to fit in family obligations with long work hours and trying to find the time to ride can lead to a lot of guilt. It also lead me to doing more road rides to optimize the time available. Giving up some riding time and being there for the family has paid off. 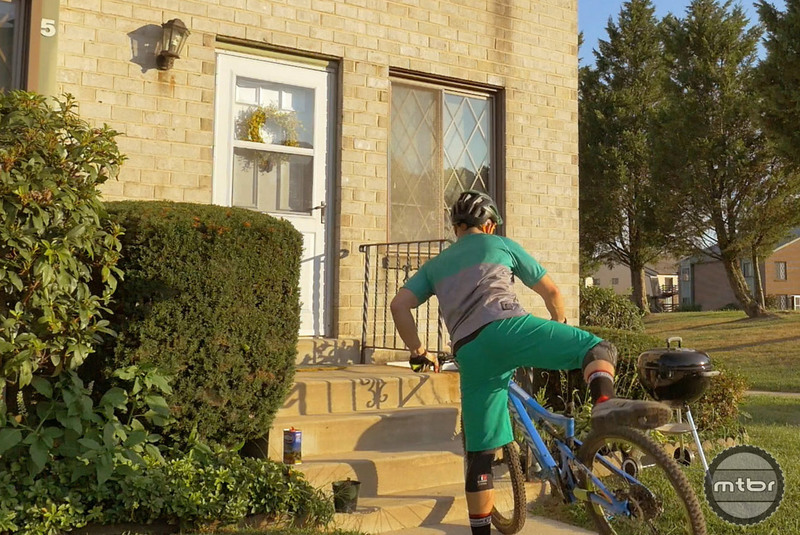 My son is very passionate about MTB, and when we ride, I watch my son ride away from me. But that is actually a great feeling being dropped by your own child who is becoming a well-rounded adult I am proud of. And now we can ride as long as we can when we get the chance. It’s all about measuring trade-offs. It gets even more tricky when you have more than 1 kids. Trying to align the two napping schedule and you are lucky to have an hour of overlap. These days I start my ride before sunrise and by the time the early birds hit the trail, I am already heading home. Once I started at Demo in Santa Cruz at around 5:45am, finish at 7:50am as people were just pulling into the parking lot. 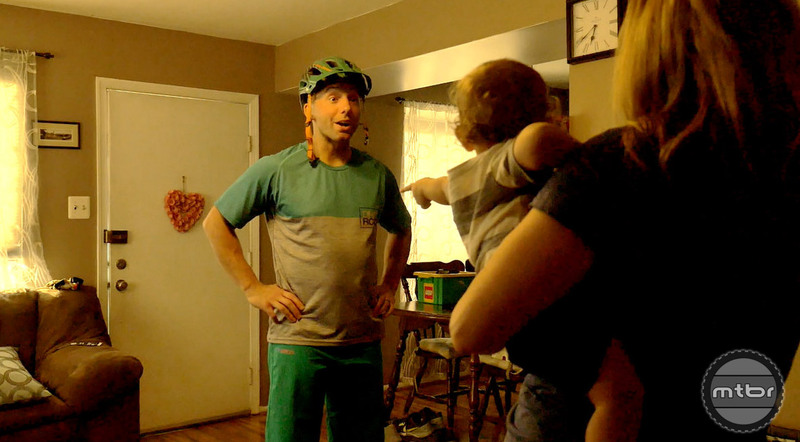 One thing about the video, there is no way under a normal circumstance a wife will let you hold an infant after a dirty mountain bike ride. Not sure what is stinkier, the mess in the diaper or the odor on your body. That baby is in for great life, love it! !